Picturing Disney: Caricoa's: Three Caballeros Fun Aboard the Disney Magic! Caricoa's: Three Caballeros Fun Aboard the Disney Magic! 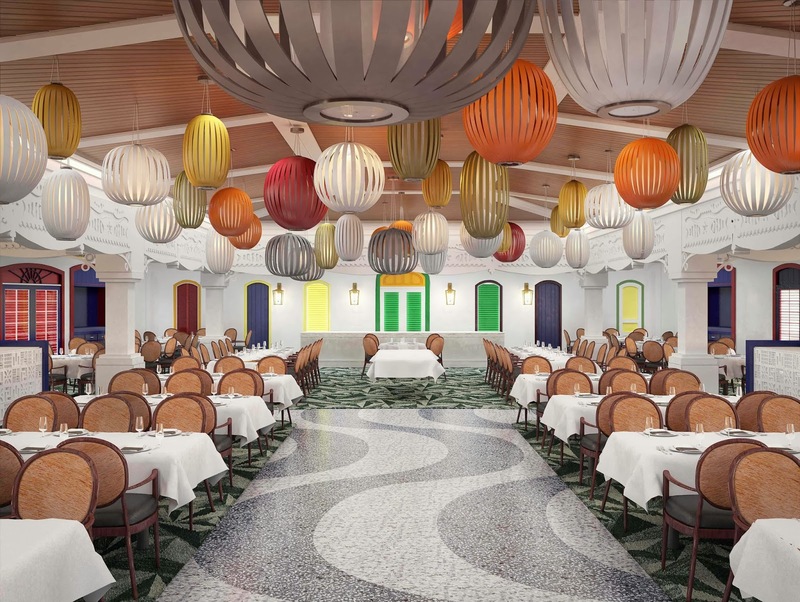 One of the brand new spaces coming to the reimagined Disney Magic® is Caricoa’s, a fun and festive dining room named after Donald Duck’s parrot pal in "The Three Caballeros," Jose Carioca. During the day, you will enjoy buffet meals featuring a festival theme. Then, when night falls the atmosphere transforms into an after-hours scene of Rio de Janeiro, with city-side windows softly illuminated and lanterns flickering overhead. Get a sneak peek in this video!